Wanna be a hero? Here's your shirt! 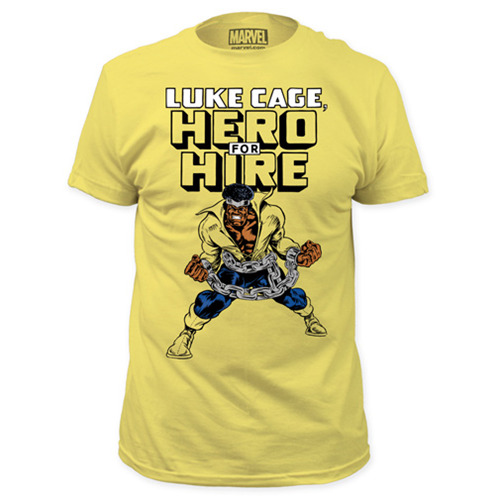 "Luke Cage, Hero for Hire" shows on this Luke Cage Hero for Hire Yellow T-Shirt, along with an intense image of Carl Lucas, aka Luke Cage, aka Power Man. The shirt comes in sizes S, M, L, XL, XXL, and XXXL.